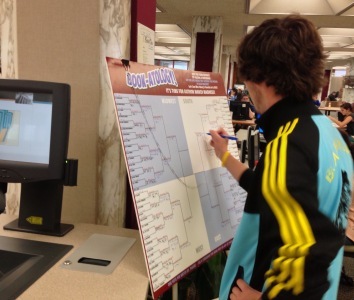 Hello and welcome back to the most exciting fake tournament in all of fake sports: Falvey Memorial Library’s Author March Madness. The sophisticated-looking pipe smoke has cleared and left us with just four remaining writers, ready and waiting to slug it out for a spot in the final match-up. This week we speak with guest analyst Adam Hembree, VU English Graduate student and Writing Center tutor. CA: Adam, it was clear we were looking at a real bruiser in the Midwest between the legendary Dr. Seuss and some guy named … let me look it up real quick … oh right, William Shakespeare. This one was even closer than we expected—what did you think? AH: Do you hear it? It’s the anguished silence of all the Whos in Whoville. Not even Horton can hear them now, for the tower of turtles has finally tumbled for dark horse Dr. Seuss’ (14) flamboozling run. To the good Doctor’s credit, he posed the first credible challenge to the Bard’s iambic dictatorship over Western Canon, rhyming valiantly to a one-vote defeat. 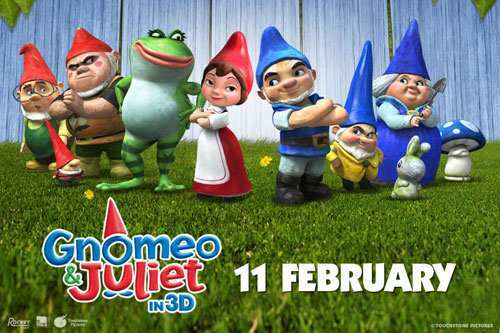 CA: I think Shakespeare should win on the merits of Gnomeo and Juliet alone. Now there’s a film that sounds the depth of the human spirit. On to the West, what did we see there? AH: Buzzer-beating votes were the order of the week, as the much-anticipated match-up between J.R.R. Tokien (1) and C.S. Lewis (3) came down to the last battle. In the end, intricate politics, neo-linguistic triumphs, and an epic storyline were not enough to trump transparent allegory and Liam Neeson in lion form. Know thy audience, J.R.R. CA: Sounds like you got a bit of a bias there, Adam, but as a LOTR fan I feel your pain. If Tolkien had won I was going to write this entire recap in Elvish, mellon. Your loss, blog readers! Tell me about the South. AH: The Lost Generation lived up to its name in the Elite Eight as both Hemingway (2) and Fitzgerald (4) fell. It seems neither legend was aware of the contest, electing to continue getting tight on highballs instead of drumming up votes. CA: Yup, they sure know how to knock ‘em back down there below the Mason Dixon. What do you think Twain’s advantage was over F. Scott in this last round? AH: These are two inimitable classics, old sport. If it had been Gatsby and Huck Finn mano a mano in a book challenge, I have to think F. Scott would have had the edge. 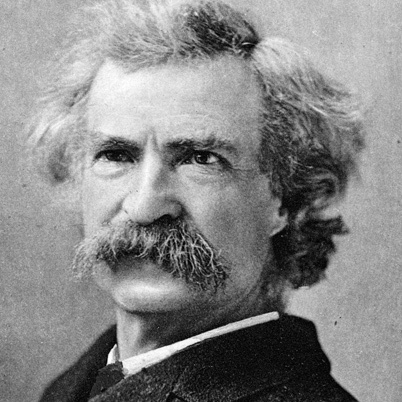 As it stands, Twain’s body of work gets ‘em young with Tom Sawyer and A Connecticut Yankee in King Arthur’s Court (you know you’ve seen the TV movie). Plus, the dude is a veritable quote machine and has an unbeatable stache. CA: He’d better hope this week’s votes were more than just lip service. What can voters expect to see in the coming match-ups? The Final Four is shaping up to be quite the scholastic slobberknocker. Shakespeare vs. Lewis. Twain vs. Rowling. CA: Definitely some titans here in the four, but I gotta think Shakespeare takes the whole thing. Anything he should watch out for against C.S. Lewis? CA: Adam? You were saying? AH: Right! The point is, Shakespeare can nail this whole thing down for sure, but he needs to be wary of the nostalgia vote. Sure, these kids were all reading Romeo and Juliet in ninth grade, but many have painful associations with their introduction to Shakespeare. That could translate to votes against him rather than votes for the opposition. I’ve never heard of a “No Fear” edition of The Chronicles of Narnia, after all. CA: What’s the celeb social media buzz like right now? CA: Ominous words. I used to have him on Instagram, but I could only tolerate so many photos of his meals. Dude eats a lot of turkey legs. Thanks for chatting with us, Adam. Readers, stick here for more information on the tournament, including a chance to win a prize during the championship round. And, as always, don’t forget to cast your vote!